Do you feel a little bit out of shape that you can’t even imagine yourself wearing a bikini? Do you wish that your complexion was better? Of course, everyone in this world wants to look their best when they step under the sun wearing their sexiest swimwear. If you think that it is hard, you better think again. The truth is, achieving your dream body and skin is easier than what you think! Eating a lot of prepackaged foods and junk foods will not just make you suffer from an unwanted weight gain. At the same time, this can also make your complexion pasty and your hair more lifeless than ever. These problems are the kind of problems that even the most expensive of skin creams, hair products and vitamin supplements will not be able to resolve no matter how much you use or apply. But, glossy hair and glowing skin can be easily yours in just a few days and there is even no need for you to spend a fortune on those pricy pills and potions. The only thing that you need to do is eat those foods that your body needs in order for it to feel its best and look its best. You have probably heard so many times that an apple a day can keep the doctor away. But did you know that it can also keep skin aging at bay? Apples are a fruit that is rich in vitamin C and that can keep your skin firm while giving it an inner radiance. Also, apples can prevent the damages caused by free radicals that can cause premature aging of skin. How do you use apples to get that glowing skin? Eat one apple daily – simple! You might also want to apply apple juice on your face then wash this off with water after ten minutes. Aside from this, apples can also offer other health benefits. Rich in vitamin A, Indian gooseberry or amla can help increase the production of collagen that is vital to keep your skin glowing and taut. The perfect way for eating Indian gooseberry is to consume this on an empty stomach in the juice form, specifically early in the morning. It will slow down the collagen degeneration and can also help your body to produce more. Carrots have high content of beta carotene that is converted to vitamin A by your body. This is the reason why you need to include it in your daily diet. Carrots don’t just give a glow to your skin, but they can also help improve your skin and fight off wrinkles, making it healthy. You might want to add carrots to your favorite salad or you can also cook this to prepare a sumptuous dish. You can also drink carrot juice with the fiber intact in order to enhance your beauty. If you want to know what to eat to get glowing skin, one surefire way to achieve a brighter complexion is to eat one handful or pumpkin seeds. Small as they are, these are packed with zinc that is important in the production of brand new skin cells. Also, this can improve the skin tone and control your skin’s oil production. Pumpkin seeds can be consumed as your evening snack. You might also garnish your curries with the seeds or add this to your sandwich to get that extra crunch. When your body has more antioxidants, you can also expect that your skin will glow even more and beetroot is exactly what you need to achieve that. Beetroot is a good source of anthocyanins, a potent antioxidant which can prevent wrinkles from appearing. Eating beets will also make your skin look glowing and pinkish. You can boil beetroot then cut this to slices before consuming it. It can be hard to digest beetroot if you will eat it raw. 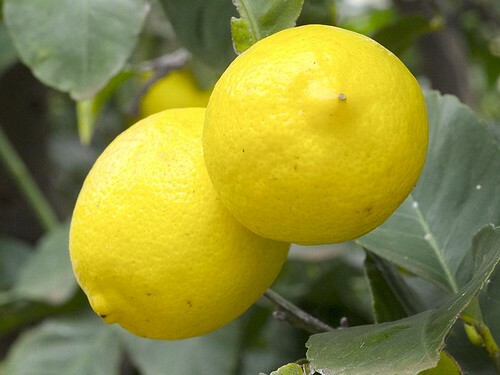 To reap its full benefits, you might also want to add some lemon juice to achieve a zingy taste. If you want your lips to have a pink tinge, you can also rub beetroot on them. Your skin will look dull if it has blackheads, acne and scars. Good thing that lemons will keep all of these at bay. Lemon is rich in vitamin C that is required for collagen synthesis. Just squeeze lemon in one glass of warm water and drink this first thing in the morning. A spoonful of honey can also be added to the mixture. Adding a dash of lemon to your favorite salad is also great. Strawberries contain malic acid that serves as a natural whitening agent. Also, this has tons of antioxidants that can give your skin the healthy radiance right from within. Eating a handful of strawberries will be great or you can mash this to prepare a paste before adding honey and yogurt. Apply this on your face for 15 minutes to achieve glowing skin. You can also add strawberry to your daily smoothie. Packed with antioxidants, spinach helps in reducing the onset of those unwanted wrinkles. This can help strengthen your skin tissue and has anti-inflammatory properties that can flush out the toxins to give you clear and glowing skin. You can boil spinach and add this to your salads or you can prepare a curry using it. Spinach juice is also effective to keep your skin healthy. To get that glowing and fresh skin, your skin will need a boost from the inside. 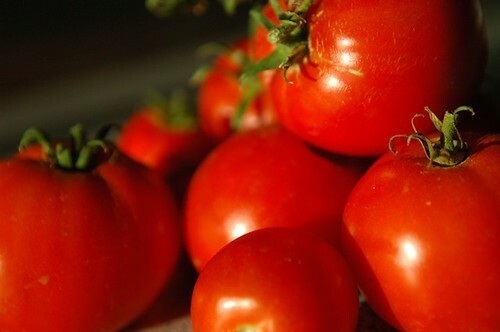 A tomato contains an antioxidant known as lycopene that has antiaging properties and acts as sunscreen from the inside. Due to its acidic nature, tomato pulp can prevent pimples and tighten pores. Adjust your Daily Diet for Glowing Skin! Now that you have discovered what to eat to get glowing skin, make sure you adjust your diet to make your skin glow too!